The Museum of York County in Rock Hill, South Carolina, originally the Children’s Nature Museum of Rock Hill, opened in 1950 as a result of a community effort led by the Junior Welfare League, to create a cultural opportunity for area children. Exhibits and programming have always included not only natural history, but also cultural history, the arts, and content for adults as well as for children. In 1952 the museum mounted the earliest known exhibit of Catawba Indian pottery, featuring potters active at that time. The Stans African animal collection acquired in the late 1950s altered our focus and made a larger structure necessary. 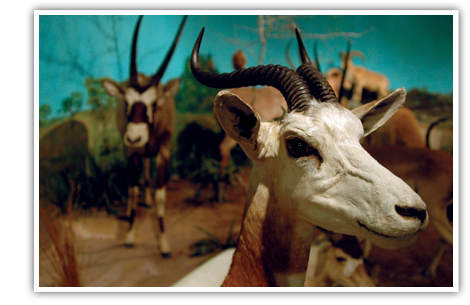 The new building, which the museum now occupies, opened in 1965 featuring dioramas showcasing the African collection. Collecting for long focused on Africa, culminating in the 1990 acquisition of the Clifford collection of African art; however, the museum also maintained programming and exhibits on local history, regional natural history, and the arts. The Settlemyre Planetarium opened in 1977; in 1978, the museum became repository for the Vernon Grant collection of illustration art by the originator of Snap!® Crackle!® Pop!®. Increasing professionalism led to steady improvement in our exhibits, educational programs, and public events. The Museum of York County is now among the top museums in the state in terms of budget and audience served.